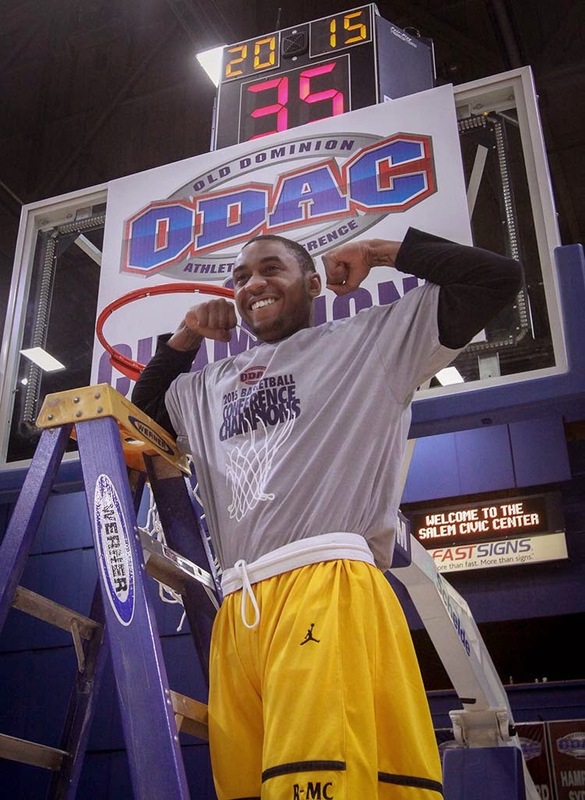 Lamont Moore scored 18 points, and Randolph-Macon overcame withering defensive pressure from Virginia Wesleyan in the second half to take the lead, only to see the Marlins shut them down late and seize a 49-47 war in the NCAA Division III Round of Eight Saturday night at Crenshaw Gymnasium, ending the Yellow Jackets' season and their school-record 25-game winning streak. 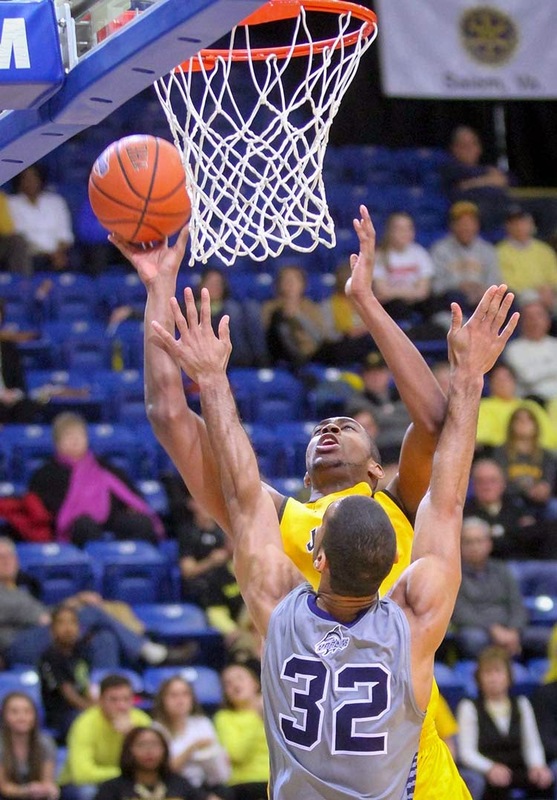 The Yellow Jackets still had a chance to win with three seconds to play, but needing to go 94 feet to the basket. 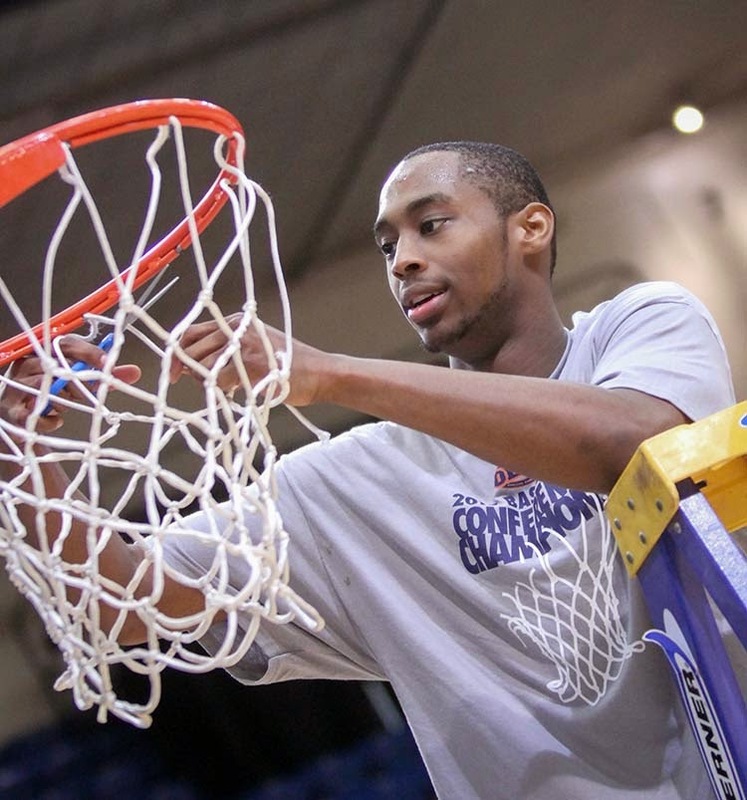 A perfectly designed play got Chris Hamilton the ball on the baseline, but his jumper at the buzzer hit the left side of the rim, bounced off the right and landed on the floor. The final chance to extend the season was gone. 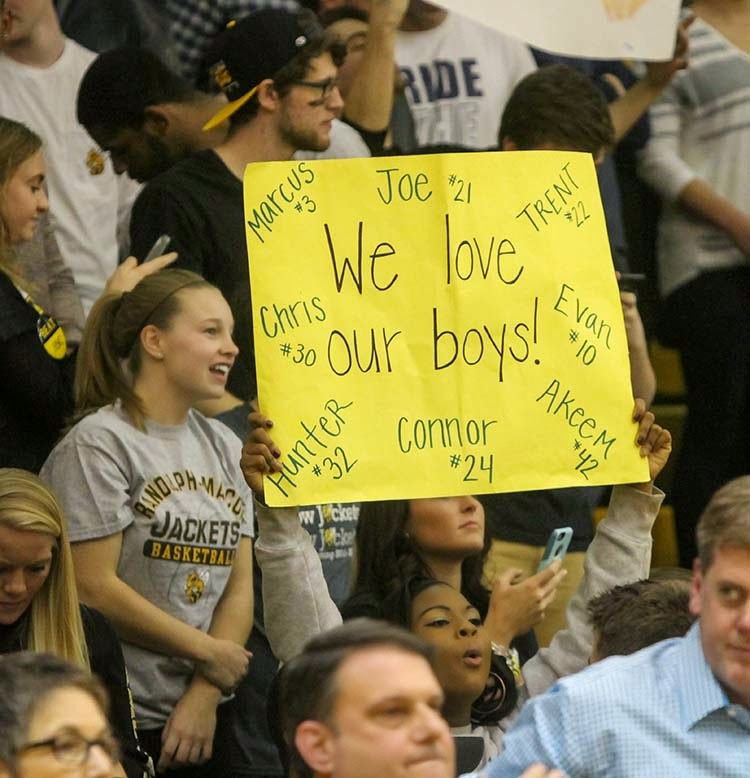 Ironically, the 25-game winning streak began in Norfolk December 3rd with a 55-47 win at Virginia Wesleyan. 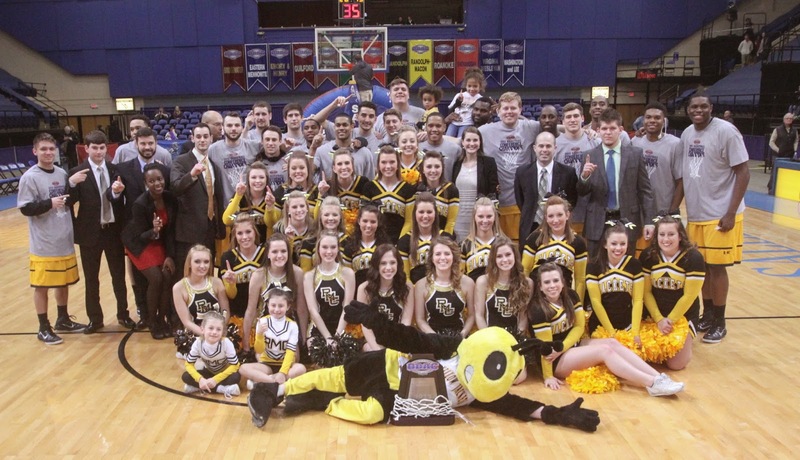 Randolph-Macon entered the game 3-0 against the Marlins this season, including an 81-74 overtime win in the ODAC Tournament Championship on March 1st. The Yellow Jackets end their season at 28-3. Complete coverage of the game, and the season, coming from us in this week's new edition of the Hanover Herald-Progress. 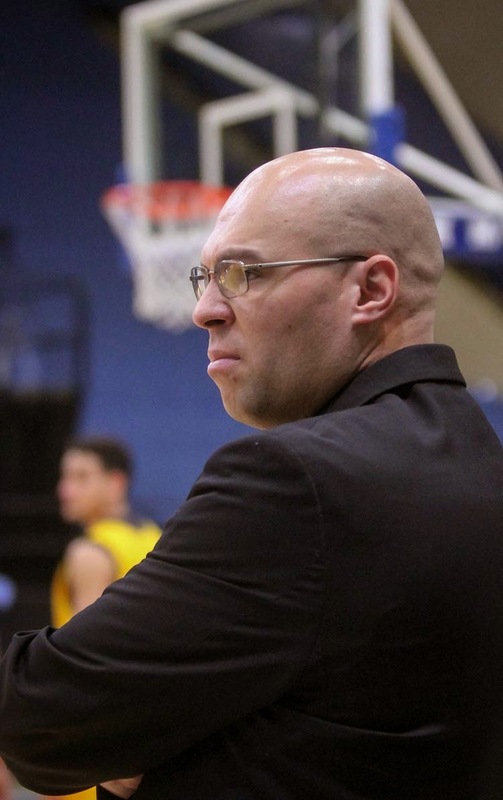 Randolph-Macon announced Monday they will host one of four Round of 16 Sectionals, which includes a Round of Eight game, in the NCAA Division III Tournament. In Friday's Round of 16 doubleheader, ODAC rival Virginia Wesleyan will face Dickinson College at 5pm. 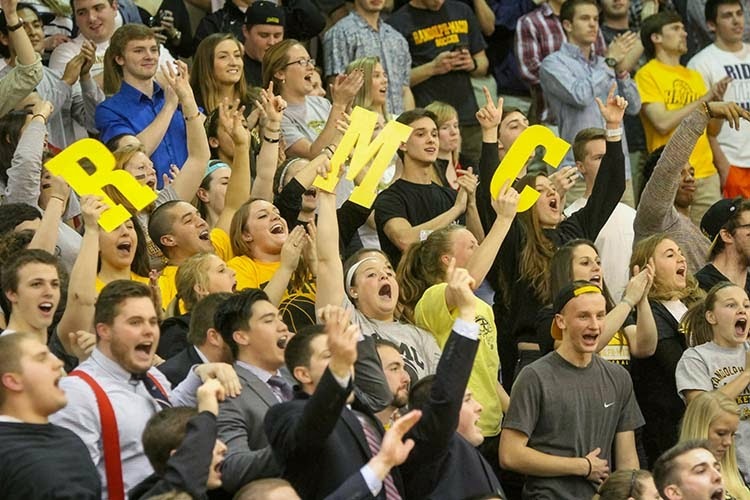 Randolph-Macon will host St. John Fisher, Empire Eight Conference champions from Rochester, New York, at 8pm. 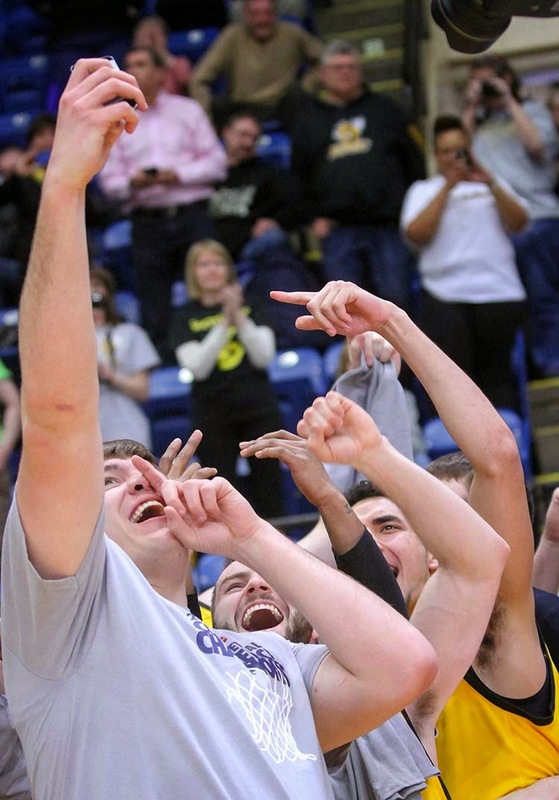 The winners will face each other on Saturday night at 7pm at Crenshaw Gymnasium for a berth in the NCAA Division III Final Four March 20th in Salem, Virginia. 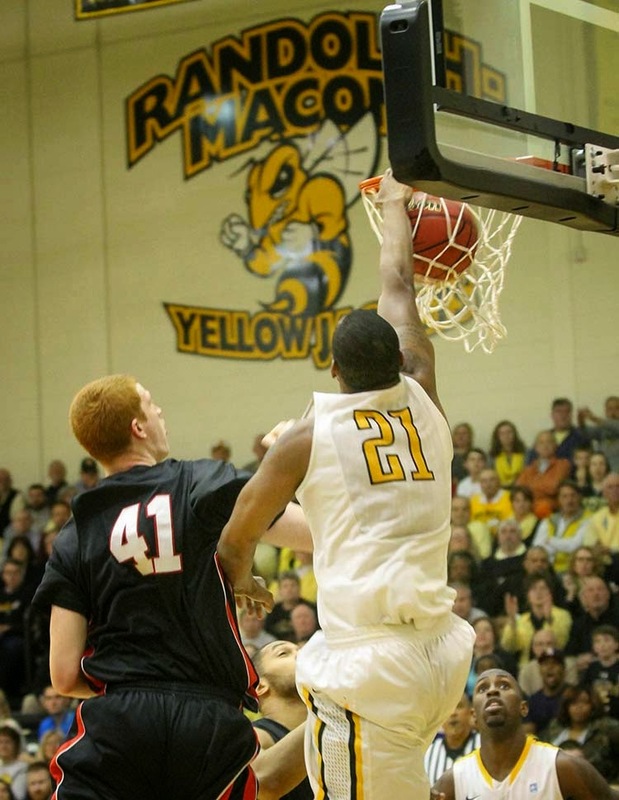 Randolph-Macon earned their berth in the Round of 16, their second in three seasons, with a 78-65 win over Catholic Saturday night. Tickets for Friday's second game involving the Yellow Jackets are sold out. Tickets for the first game are still available. Details are available HERE. These will be the new overtime rules in both regular season and postseason field hockey if approved by the VHSL. The Executive Committee recommended approval Monday. Membership and Group Classification meetings are next week in Richmond during the State Basketball Championships. Any "eligible" player may participate in overtime. All rules governing the 11-player game will be used EXCEPT: A maximum of FOUR (4) defenders may be behind the end line on penalty corners. Neither team may request a time out. Substitution during the 15-minute overtime period will be allowed. If after the completion of the overtime period, the game is still tied, the procedure described below will be followed. The game ends if one team has a goal advantage that cannot be overcome. If, after completion of the penalty stroke procedure above, the game is still tied, another set of "Sudden Victory" penalty strokes (SVPS) will take place. The Sudden Victory penalty stroke procedure (SVPS above) is repeated until there is a winner. A Series of five shots on goal shall be taken by individual players in a one-on–one situation (attacker vs. goalkeeper) To begin this procedure, the attacker stands on the 25 yard line and the goalkeeper stands on the goal line. Play continues for 10 seconds with follow up shots permitted. Note: the one-on–one play could be conducted with follow-up shots not permitted. A foul or violation by the attacker ends the procedure. A goal is awarded for a foul or violation against the goalkeeper. The procedure also ends when: (1) the 10 seconds has elapsed; (2) a goal is scored; (3) the ball goes out of play over the end line, sideline or outside the circle. a. Each coach will present a list of 5 players to the official and the shots will be taken by the players in the order they are listed. The team attempting the first shot will be decided by a coin toss, with the visiting captain calling the toss. If a player participates out of order, that one-on-one is over and no goal is awarded. The next correct player is to play the team’s next one-on-one. b. The five players listed for each team will attempt the shots on goal on an alternate basis and the team scoring the most goals is declared the winner. c. If the game is still tied each team will attempt “sudden victory” shots on an alternating basis. This procedure will continue until the tie is broken. You may allow a repeat of the first 5 players. The order of the players may be changed at this time. 66-4-3 Breaking Ties, Post-Season Play-If a tie exists during post-season play, the tie shall be broken by administering the Post Season Tie-Breaking Procedures published on the League's website. If the game is tied at the end of regulation, teams will play a maximum of TWO 15-minute, reduced-player, sudden victory overtime periods. The first OT will be played as detailed in the Regular Season procedure described previously. If the game is still tied at the end of the first overtime, a second 15-minute, reduced-player, sudden victory overtime period shall be played. If, after two sets of regular Penalty Strokes, the game remains tied, Sudden Victory Penalty Strokes (SVPS) will be used to determine a winner. a. Each coach will present a list of 5 players to the official and the shots will be taken by theplayers in the order they are listed. The team attempting the first shot will be decided by a coin toss, with the visiting captain calling the toss. If a player particiapates out of order, that one-on-one is over an no goal is awarded. The next correct player is to play the teams next one-on-one. f. The team that defended first in the previous set of one on ones will go first for the second set. g. If the game is still tied, each team will attempt “sudden victory” shots on an alternating basis. This procedure will continue until the tie is broken. You may allow a repeat of the first 5 players. The order of the players may be changed at this time. Staff recommends as long as there is support from each/most of the field hockey regions.